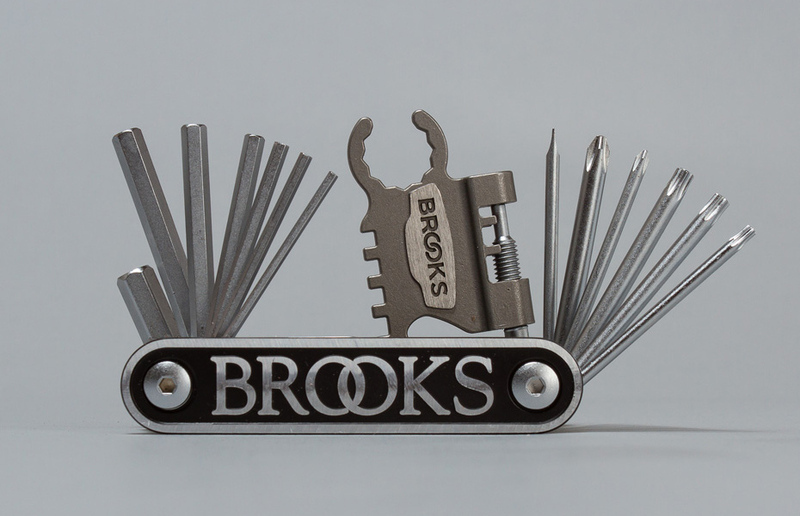 The MT21, as goodlooking as it is useful, comes straight from the knowledgeable folk at Brooks England. Not content with bringing us a some of the best saddles on the market, they’ve created a beautiful multi-tool to help you out in moments of bicycle need. 7 allen keys (2mm – 8mm), 3 torx heads, a flat head screwdriver, 2 cross-head screwdrivers, 4 spoke keys, a chain tool, a bottle opener (crucial), a saddle spanner and a knife, all wrapped up in an embossed leather holder. You’re covered. Find them here.